The Flatliners = Hot Water Music + Alkaline Trio + mid-2000s Against Me! Sometimes, I really don’t know what to make of The Flatliners—one minute, they are these rabid pit bulls that need to be kept on a leash at all times (otherwise they’d maul the neighbors), and then the next, it feels like they’re mild-mannered house pets agitated by squirrels and the mailman. While I haven’t been the biggest fan of this Canadian punk rock powerhouse, they have made some pretty great songs throughout the years, and Destroy to Create is still one of the best ska/punk hybrids I’ve heard. So I asked myself, “Where will The Flatliners go with this new record? Will it be slow and melodramatic while keeping an upbeat edge, as they have done in their previous three albums, or will they wallop me over the head with something completely different?” The answer leans more toward the latter, as Inviting Light has a quite different sound from any of their other releases, but it’s not so much a smack in the face as it is a light tap on the shoulder. The Flatliners have been part of this era of punk rock that has combined elements of punk’s revival in the 90s with emo, folk and traces of neo-indie music in later years. Bands like The Menzingers, Off With Their Heads and the late Against Me! are among many bands who lull listeners in with soft melodies and somber lyrics with enough of a rough edge to make you feel like they can break any minute. 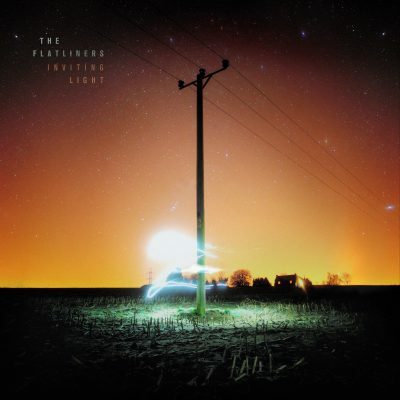 The Flatliners have gone fully soft in Inviting Light, as opposed to their previous hybrid style. While I praise them for branching out into new territory, this apple fell a little too far from the tree. This album is The Flatliners dabbling into a more laid-back indie-rock poise with gentler guitar tones and serious reductions in rhythmic speed. It’s not too far of a transition, as they’ve boasted their softer songwriting skills before, but there really wasn’t a lot on this album that pulled me in. At first I thought it would be a slow-burner that would require me to listen to it a few times to “get it,” but after the fourth or fifth listen, I had to change the CD. It feels like The Flatliners are trying to imitate the sound of punk crossing over with indie rock, the same way it was done with bands like FIDLAR, PUP and The Dirty Nil, but the drawback is that they’ve downplayed a lot of their punk rowdiness—maybe the tempo picks up a little here and there, or maybe vocals get slightly scratchier on a chorus or two. Even with the lack of punk versatility, the sound they went with wasn’t gripping—there weren’t a lot of melodies or lyrics that stuck with me after the first few listens.